Run Buddy Mobile: A mobile dog gym offering fitness sessions! There's no doubt that exercising is beneficial for leading long lasting lives in humans. Countless studies have been done and the fact is that maintaining a well balanced diet with exercise is crucial for living long and healthy lives. The same goes for your pets. My dogs are seniors and I have had both of them since they were eight weeks old. They are now both older than a decade which is sometimes unheard of in dog years. 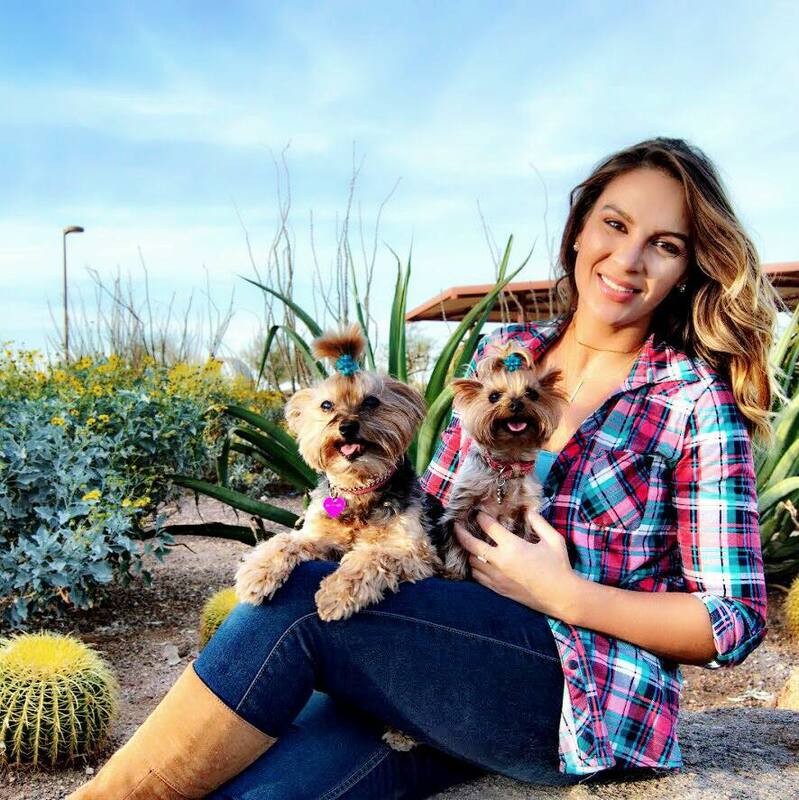 From the time that I decided to embark of a long term goal of becoming a dog owner, I made a promise to myself and to my dogs that I would provide the best care for them so I could provide a life of joy for each of my two dogs. For everyone that meets my two little dogs, no one believes how old they are. They are vibrant, active, trim, healthy and full of love. Make no mistake that this was through years of educating myself in what my dogs needed, wanted, and what served them best in order to live long lives. You see, as many of you can relate, dogs enrich our lives. Studies show that actually owning a dog lowers blood pressure and adds years to the owner's life. It's only natural that I want to have my dogs alive for as long as possible, for the gift that any pet brings us, is well, priceless. I recently heard about a new company called, Run Buddy Mobile, and I really loved their concept. They are not paying me to do this review, nor am I getting and free rides with them, I just simply wanted to showcase them on my blog because of what the company stands for and for what my blog stands for. Pet owners usually lead very busy lives, I know I for sure do. The reason I even have a second dog was to keep the other one company. I felt an incredible amount of guilt working 8-10 hours daily and being away from my fur kid. I feel a little at ease knowing that they have each other to play with. I'm also at more ease because I have a Furbo dog cam where I constantly check on them during the day and feed them treats. That has resulted in a small bit of weigh gain, which leads me to my next point. Dogs are living breathing beings and they require movement and exercise just like anyone! Can you imagine being stuck home all day with nothing to do, no where to walk or run do? I'm sure some of you would be like, that sounds amazing to sit on the couch all day, but let's be honest, we all love being active! Dogs can be like young children. If you don’t give them something constructive to do with their energy, they’ll find something to do on their own-and you may not like it! Most of us are so tired from our own workday that the last thing we want to do is rush home and take the dog out for a daily run. Here's where Run Buddy Mobile comes in! They are a canine exercise service brought to your doorstep. Your dog simply steps inside their climate controlled mobile unit to experience the happiest thirty minutes of their day. Each mobile K-9 fitness unit is fitted with state-of-the-art equipment to accommodate any size and breed with the utmost safety and comfort. You can cheer your dog along the way or feel free to let our friendly professionals do the work for you. Last year right around Easter I was perusing my Facebook wall and came across an ad about backing a project on Indiegogo. This caused me to stop dead in my tracks. I couldn't pull out my credit card fast enough. A dog camera that would allow you to see, talk, hear, and throw treats at your furbaby, say what?! I needed proof so I played back a cute video on how this Furbo dog cam would allow me to check in on my dogs throughout the day and talk to them via the two way microphone. I could take photos of them, record cute things that they were doing and best yet click a button to dispense treats. Yup, it was true, where's the credit card? I backed this project in April 2016 and received my camera four months later. I've never been so excited to open a package before. For almost a year no I've had entirely too much fun showing my friends my dogs using my Furbo phone app versus showing them photos of my dogs on my phone. Sometimes I will be stuck in traffic, and will play music for them while I'm on my way home. I know that sounds crazy, but who really isn't crazy about their furkids? 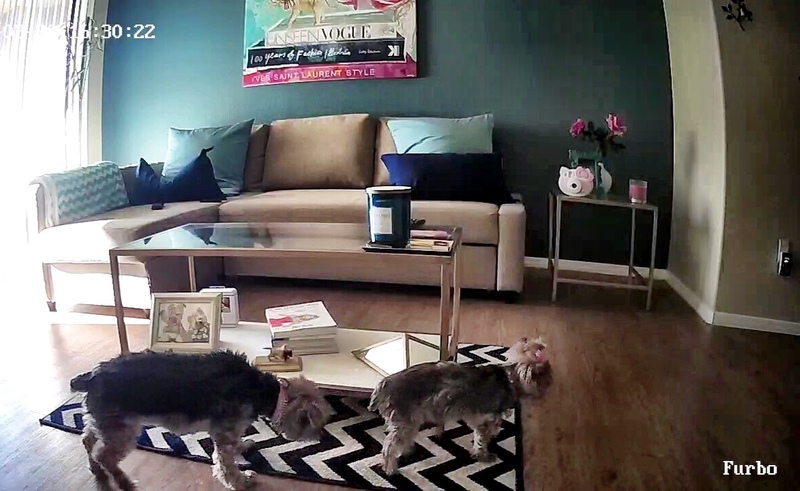 Having the Furbo dog camera has given me such peace of mind. There is a barking alert which I really quite enjoy, it lets me know when maintenance is in my apartment and when the UPS man is knocking on my door while I'm away. 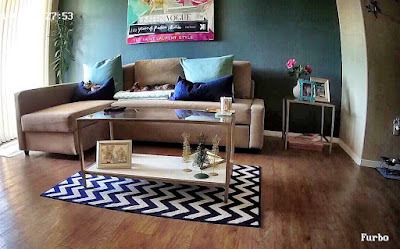 The Furbo dog cam also allows me to log into it during times where I've needed to hire a dog sitter, I can see how my dogs are being treated and if the sitter is in fact there for 30 minutes of the paid time or just for 5 minutes. I don't think I've loved a product I've purchased as much as I love this one. It's great to be able to check on my dogs with the click of a button from anywhere in the world. With this product I have also been able to uncover who knocks over the trash can, to my surprise I've been wrong for the past decade! It was my 4lb dog instead of my 10lb dog. Here I was for years putting the wrong one in time out. Since Furbo, I've moved the trash can into a closed closet and my dogs have had more daily treats and random 80's afternoon jam sessions than ever before. The treats that I have found to best work with the Furbo dog cam are these, they are small and perfectly dispensed through the camera, they are also low calorie which you'll soon find out that is a plus because you will notice an increase of treat giving once you get this camera!